Sometime earlier on, Apple sued Samsung. France, Australia etc., Apple only won in the U.S and lost in the rest of the countries. ‘’The Samsung electronics didn’t imitate Apple’s products’’. the image of U.S became negative. 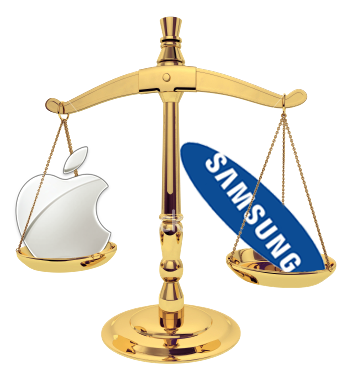 Samsung has to compensate 2 million and 9 thousand dollars to Apple for having lost. The U.S’s cover up of its own company’s mistake is such a pity. But it can also be understanding. If Apple can’t be protected by the U.S in this way, its reputation will fall further. Due to the threat of Samsung, Apple called for SOS to its home country. The U.S accepted its proposal. I don’t use products of Apple, I use those of other brands instead. thought of what Apple and U.S did. The Samsung electronics, leads the global market. Samsung’s sale rate is 32% and the one of Apple of the U.S is 12%. The Samsung electronics is expected to catch up on Apple, in the market of Tablet PC. but the one of Apple fell 4% to 26%. Now, Apple has to win over Samsung. Could it do that just with the support of the U.S.